“You have cancer.” What comes to mind when you think of a cancer diagnosis? In 2011, this question was no longer a hypothetical. I’m sure my response was normal as I began to wrap my mind around cancer and my name in the same sentence. I dealt with many different emotions in the beginning. Fear: Would I be around for my younger son’s high school graduation in six months. We had a diagnosis with no further details. What did my future look like? Grasping for Control: Immediately I began to network with friends and friends of friends who were in the medical profession or knew breast cancer survivors. I wanted to be informed and ask the right questions so I could get answers. If I could articulate the issues, perhaps I could grasp control and rein in this cancer invading my body. Going to a Dark Place: Learning and discovering more information introduced me to the sad stories and sadder endings with breast cancer. I began to ponder the new realities in regards to my body, my life, and ultimately, my mortality. Would I feel the same if I had a mastectomy? Would I look like me if I needed chemotherapy and lost my hair? Would there be a future? Would I be there to celebrate my sons’ weddings and dote on grandkids someday? One evening, my husband and I sat at the kitchen table discussing my cancer as it was a too common conversation topic in those days. The burdens of all my thoughts, fears, and anxieties spilled out as tears falling down my cheeks. I asked my husband, “Will you still love me if…?” and filled in the blanks with the very personal feelings I hadn’t been able to express up to that point. I desperately needed my husband to scoop me into his arms, reassure me with the strength of his love and answer with a loud “YES!” My husband did and said something that caught me off-guard. It was even better than what I thought I needed from him. He looked me directly in the eyes with an intensity I am not used to and responded, “I am in it for the long haul!” That moment was a turning point in my cancer journey. We were going to get through “this,” whatever it looked like because I had his heart and he had mine. I have no doubts that God used that conversation around the kitchen table to personally demonstrate His love for me. As we face crises, we need something, really someone, to lean into and know that we are never alone. We can look into God’s word in the Bible and sense His intense love and unending compassion for us. We can keep on keeping on with confidence because God has promised to never leave nor forsake us. God wraps us in His hedge of protection and whispers into our hearts, “You are loved. I have always loved you.” Jesus’ death on the cross is the purest evidence for the depth of God’s love for you and for me. I will lead the blind by ways they have not known, along unfamiliar paths I will guide them; I will turn the darkness into light before them and make the rough places smooth. These are the things I will do; I will not forsake them. Although my husband and I have hiked in West Virginia for many years, I never tire of the beauty found in the mountains. Each turn on the trail is a promise of more beauty waiting to be discovered. One can find a carpet of ferns, a panoramic view of mountains touching the clouds or a splash of color displayed in the flowers. The work of God’s hands is all around us! 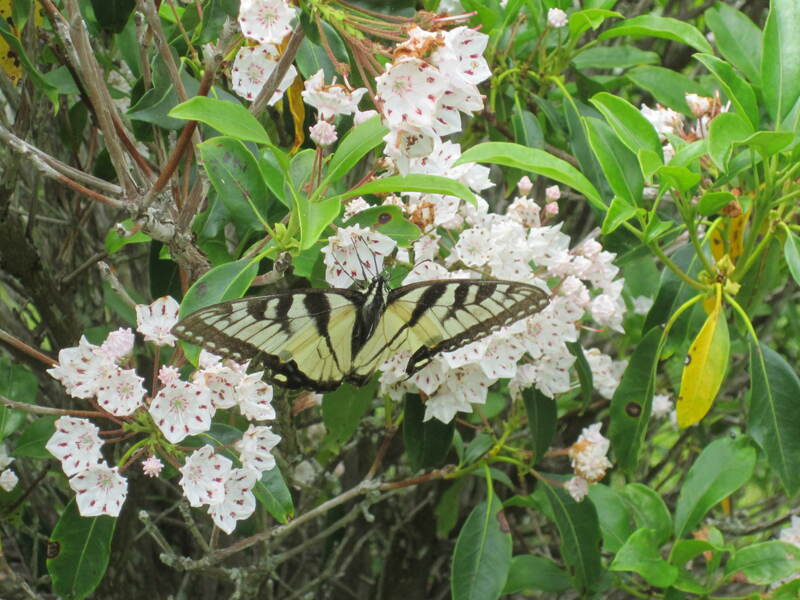 We weren’t the only ones enjoying the beauty on the Rohrbaugh Plains Trail! This snake and I surprised each other on a West Virginia trail! My husband and I were enjoying the day in West Virginia with a hike. There were many sunny spots on the trail, but this one in particular stopped me in my tracks. The snake directly in front of me was enjoying the same day by soaking up the summer sun. Of course, the snake was bigger in my mind’s eye than in reality. I am not embarrassed to admit that I have a fear of snakes. I know this because of my reaction. I didn’t scream or run in the opposite direction as I was taken by surprise. I simply froze in place and began to shake uncontrollably. Rational thinking does not change my response nor eliminate my fear of snakes. I know that snakes exist in the mountains of West Virginia. I understand that most likely I will not encounter a snake. 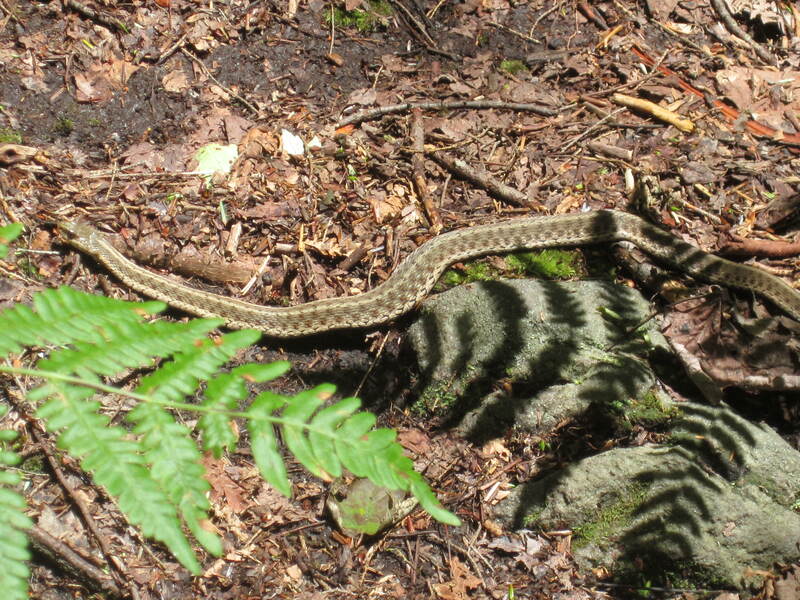 In over 25 years of visits and hikes in West Virginia, we have seen only a handful of snakes in their natural habitat. Despite the statistics, stepping on a snake is my number one fear when we hike. Fear doesn’t have to make sense. 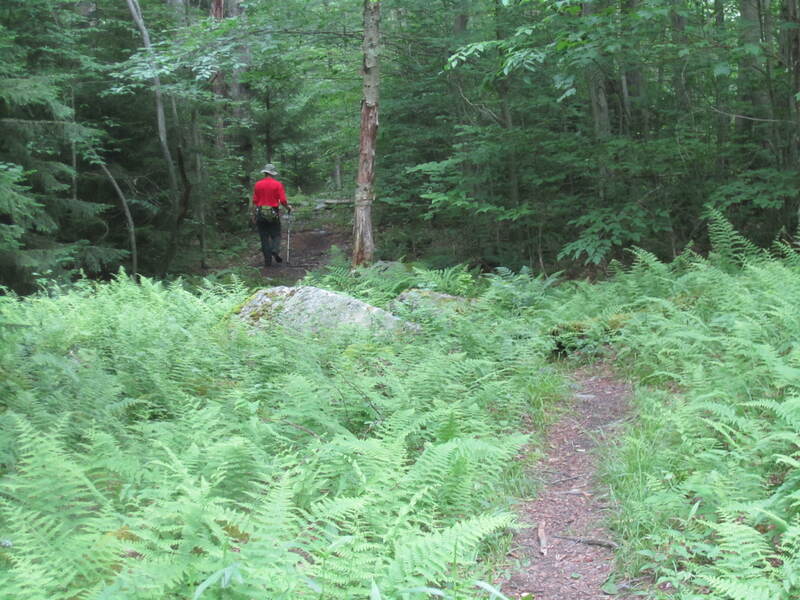 For many years, I was not interested in hiking the Dolly Sods Wilderness Area of West Virginia. I can trace my reluctance back to a casual comment from my husband’s grandmother. 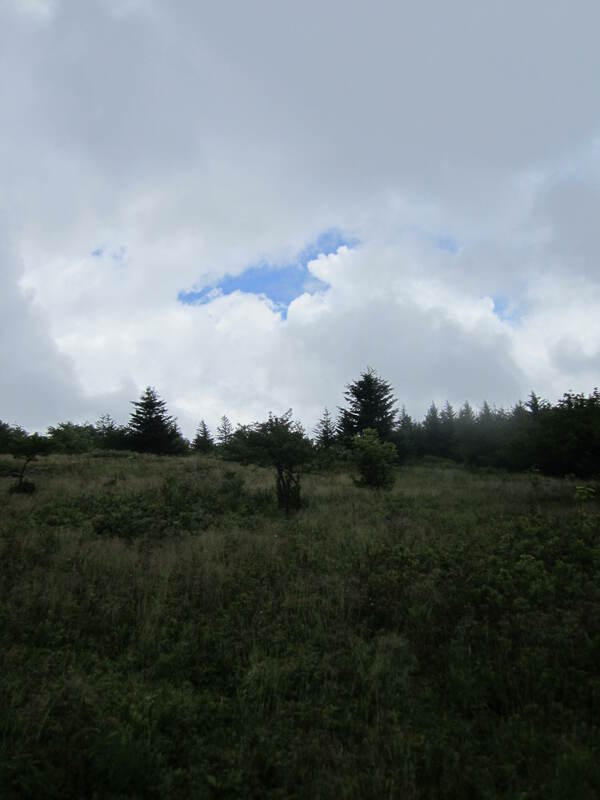 In her younger days, Grams picked blueberries (huckleberries) in Dolly Sods and occasionally would see a rattlesnake or two. 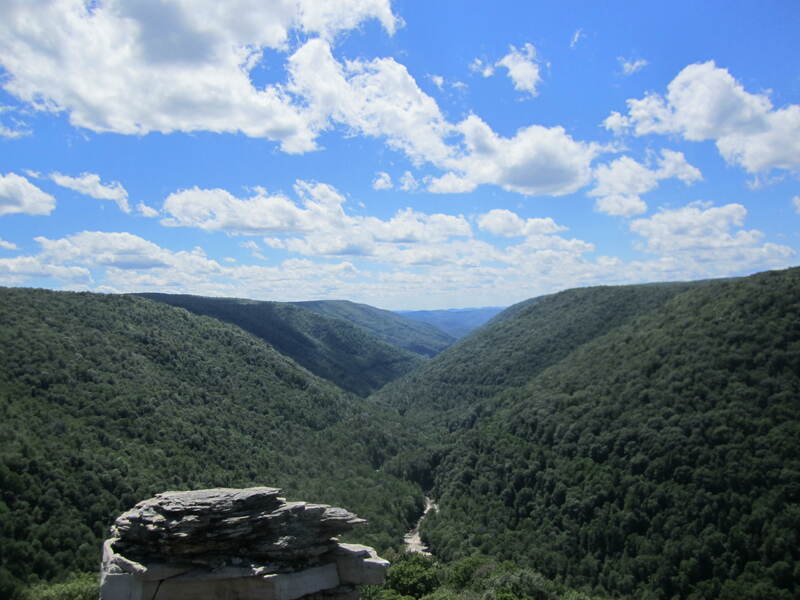 Since 2015, my husband and I have explored Dolly Sods with day hikes. It is now my favorite place to hike when we are back for the yearly family reunion. Fear affects my choices. Snakes are not my only fear. As an empty nester in a later season of life, the unknown future can instill fear. Will our money run out in retirement? Will our health hold up? Fears are a part of life. Yet, we don’t have to be afraid of fear. Fear doesn’t have to control us. Fear is real, but God is even more real as we recognize His presence and lean into His reassurance. Fear doesn’t have to define us. Fear doesn’t have to steal our joy. Scripture shows us how to handle fear in our lives. I sought the LORD, and he answered me; he delivered me from all my fears (Psalm 34:4). When I am afraid, I will trust in you (Psalm 56:3). Live out your identity in God. For you did not receive a spirit that makes you a slave again to fear, but you received the Spirit of sonship. And by him we cry, “Abba, Father” (Romans 8:15). And a personal reminder for me: Stand and not be shaken. I have set the LORD always before me. Because he is at my right hand, I will not be shaken (Psalm 16:8). Daylilies refuse to not bloom! Ever since I was introduced to daylilies by a neighbor in 2004, I have been smitten with this perennial. 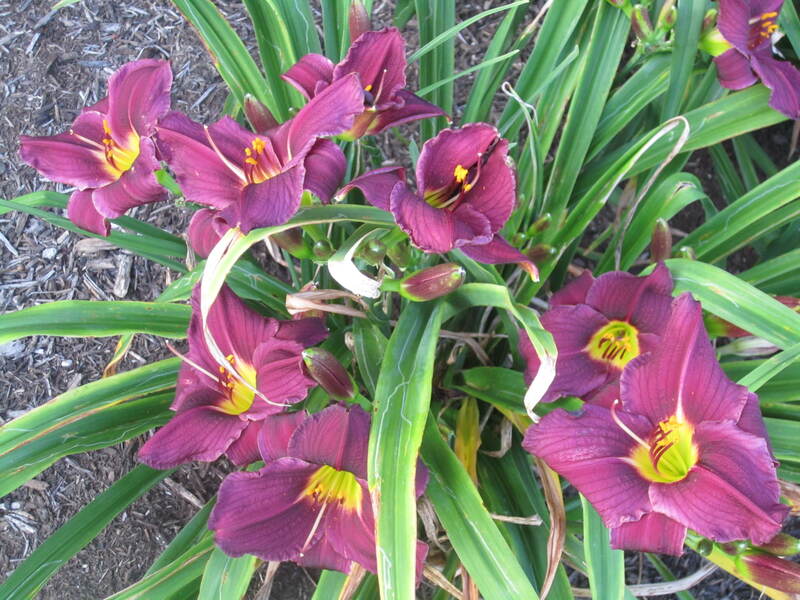 Daylilies are a no-fuss and easily maintained plant which produces an artist’s palette of colorful blooms. I look forward to my daylilies every summer. With the warmer winter of 2017, my daylilies were off to a fast and green start. Buds formed with the promise of many blooms. I dutifully cleaned the landscape beds, fluffed up the mulch, applied plant fertilizer and waited for the glorious arrival of my daylilies. In mid-June, I noticed that some of the leaves were turning from green to yellow and eventually to brown. I wasn’t too worried as this is the natural progression of the leaves during the heat of summer. However, other troubling signs began to appear jointly. 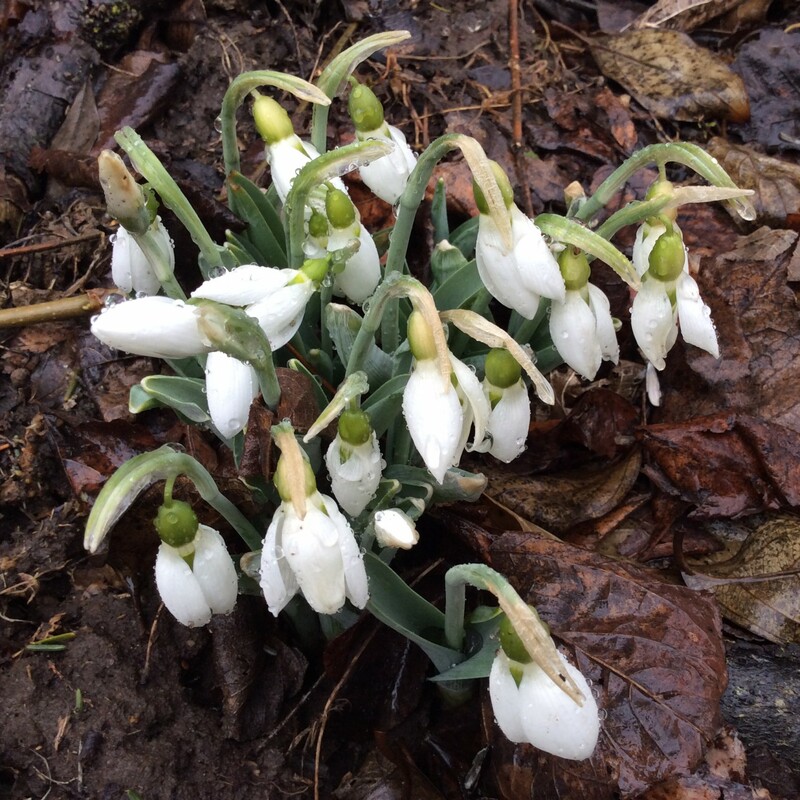 The buds were damaged and white flecks appeared all over the plants. An online search revealed that I had a bad case of aphids, also known as plant lice. The plants would be okay, but the blooms were in doubt. Most likely, I would have to wait another year to experience their beauty. I was crushed. In thirteen years, I have never witnessed aphids and their damage on my daylilies. As a hands-on gardener, I should have caught this threat earlier. Yet, I was blindsided by this unexpected enemy. I treated the root cause of the problem and decided to be thankful for any blooms this year. 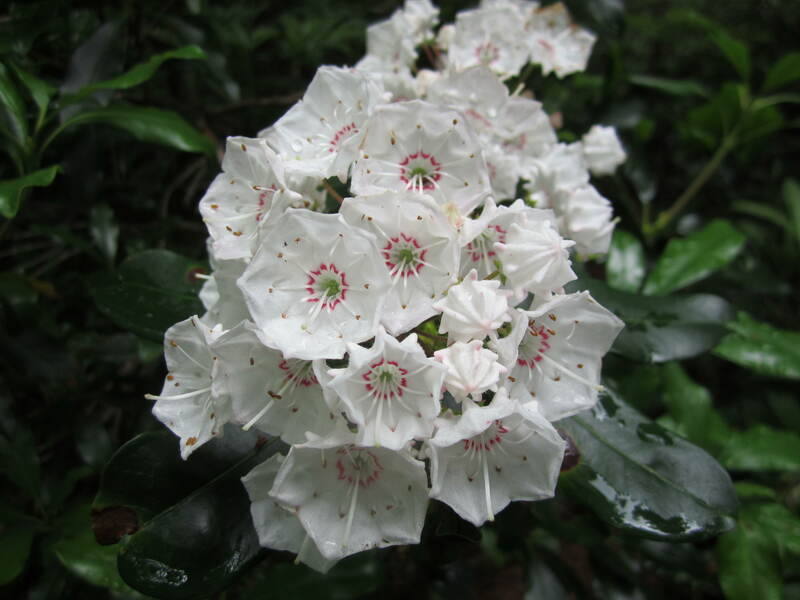 Despite the insect attack, there were still blooms. 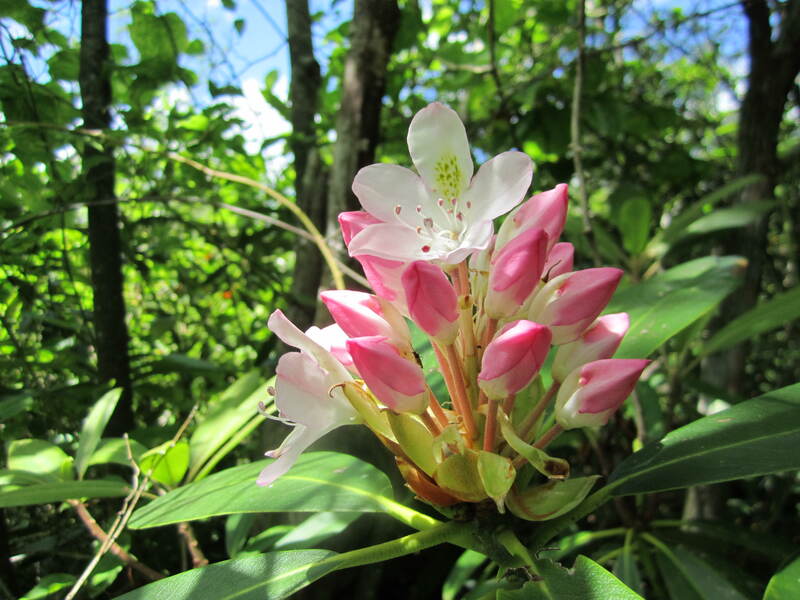 Although the flowers were fewer and smaller, these plants bloomed with an innate strength I wasn’t aware of. Each flower was a reminder of beauty that outlasted difficult circumstances intended to destroy it. Gardening is a fitting analogy for many of life’s experiences. There are good “years” and bad “years.” There are victories and failures. Some things we can control while other things seem to control us. We will be blindsided despite our best efforts. We will be rewarded for our hard work. The common theme is an enduring hope that beckons us to keep on keeping on. A friend shared a quote by Lilias Trotter that captures the pain and beauty in the reality of life’s sufferings. We are to look for the blossoms in our lives. Reassurance of God’s beauty accompanies those blooms. We are filled with anticipation for God’s glory to be revealed in the least likely of places. Our Lord Jesus Christ, who willing subjected Himself to the cross, knew difficult circumstances and suffering. Let us fix our eyes on Jesus, the author and perfecter of our faith, who for the joy set before him endured the cross, scorning its shame, and sat down at the right hand of the throne of God (Hebrews 12:2). The victory became ours when Jesus died for our sins and rose from the dead to define enduring hope. It is possible for our souls to unite with God’s beauty despite that which seeks to destroy us. Don’t give up! God is forming and protecting more blossoms that will prove His triumph anew. Refuse to not bloom right where you are at in life! What Does Grocery Shopping Reveal About You? It was my last errand. I popped into my favorite grocery store for a few items. As I passed the meat counter, something caught my eye: bacon. In the spot where samples are normally offered were two paper holders with generous servings of bacon. All of a sudden, I was craving crispy fried bacon. Each plate had two thick full-sized slices of bacon. I didn’t want to be selfish so I helped myself to just one slice. I have to admit I felt a twinge of guilt as if I was doing something wrong. These were not sample sizes, but I didn’t ask questions. I walked away and ate faster as doubt filled my mind. What if these weren’t samples for the shoppers. My thoughts were interrupted by a store employee. I was so busted! I felt as if his eyes were searching for the telltale signs of a bacon-stealing shopper. With a smile, he asked if he could help me find anything. The rest of the shopping trip was uneventful until check-out in the U-scan aisle when one item rang up incorrectly. I politely mentioned to the cashier that the item should have been on sale. The cashier checked it out and reported that it was an expired sale price. He then proceeded to ring it up for free. I objected and remarked, “I would be happy to pay the sale price. You don’t have to do that.” Even to my ears, it didn’t sound sincere. Who doesn’t want something for free? I watch our family budget and this was a clear windfall, even if it didn’t feel right to take advantage of a store policy over the fine print of an expired sale. I learned some things about myself from that shopping trip. First, I have the tendency to be controlled by food and money. Second, a guilty conscience robs me of joy. I don’t want to blow this out of proportion. It was only one slice of bacon and a $3.99 item for free. There are certainly bigger issues in my life and in the world. However, it was the trend, or rather my character-in-the-flesh that bothered me. I didn’t like how easily I was influenced by the things of this world. My mind had warned me to stop and ponder what I wanted to do. The flesh had other ideas and caused me to push aside any pangs of guilt. Once again, I am reminded that I need to be vigilant. Paul described the reality of the struggle in Romans 7:21-25a. So I find this law at work: When I want to do good, evil is right there with me. For in my inner being I delight in God’s law; but I see another law at work in the members of my body, waging war against the law of my mind and making me a prisoner of the law of sin at work within my members. What a wretched man I am! Who will rescue me from this body of death? Thanks be to God—through Jesus Christ our Lord! We are to filter our daily decisions through the word of God with heaven’s perspective. I find that I can do the right things with the wrong motivations or the wrong things with the right motivations. My prayer is that my head, my heart, and my flesh will be aligned with God’s will. That’s when joy results! It is an ongoing process that oftentimes feels like work to transform my mind. Thanks be to God that He doesn’t give up on me or you because He wants us to know His joy! In the meantime, I am avoiding bacon and reading the fine point! The request came in as an e-mail to our cancer ministry. The cancer survivor was an out-of-state resident with no personal connection to us. She must have googled cancer and our name popped up. She wanted support. We offer support. The only problem was that we don’t offer the type of support she was most interested in. I am a six year cancer survivor and a one year leader for a cancer ministry. Without fail, the top two prayer requests are for healing and for the family members that accompany the survivor on his/her cancer journey. Gift cards and pretty things fall much further down the list of prayer necessities. Nonetheless, I get it. Cancer is expensive even with good health insurance. People going through cancer oftentimes experience financial hardships. I didn’t hold my breath and I wasn’t surprised that my e-mail sent was the end of our interaction. Only it wasn’t the end of it. I should have filed away the paper application, but I couldn’t bring myself to do so. Her form sat on my desk for a over a week. God kept bringing this woman to mind. The more I tried to find closure, the more I thought about this woman and her situation. Specifically, God kept bringing me back to Acts 3 in the Bible. That’s when I knew that I didn’t do all that I was supposed to do. I had already said a prayer on the woman’s behalf. What was the next step? A clue was on her application. Under activities and interests, she mentioned something that tied in perfectly with a gift we send to those served through our ministry. I called the volunteer who mails that particular gift and explained the situation, including the God nudges I felt. I had to smile at the volunteer’s confirmation. She replied that her mother had a saying, “It doesn’t matter what is in their heart. What matters is what is in your heart!” We sent the gift. We expressed the love of Jesus Christ to a stranger. The name of Jesus was shared with someone who needed to hear His sweet name. I don’t know the response or the result because we never heard from the person again. Nonetheless, I knew that I could finally file the application. We had offered the very best of what we do have: the name of Jesus.